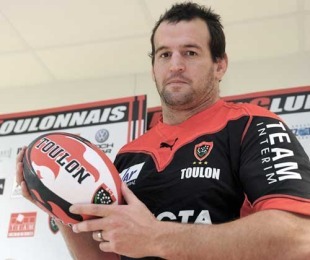 Toulon prop Carl Hayman has been cited over an incident which occured during the Amlin Challenge Cup final clash with Biarritz. Hayman is alleged to have carried out a dangerous tackle on Biarritz winger Taku Ngwenya during the second half for which he was yellow carded. European Rugby Cup revealed that a complaint against Hayman had been made by citing commissioner Denis Templeton. Hayman's hearing will take place on Thursday. Toulon will hope the citing is dismissed as they face Racing Metro in the Top 14 playoffs on Saturday.